Club Paradise Palawan is a relaxing tropical getaway in Coron, Northern Palawan. Now managed by the growing Discovery Leisure Company, Inc. and owned by the Discovery World Corporation, this exclusive 19-hectare eco-tourism destination is definitely a piece of paradise that should be part of every nature lover’s bucket list. With 700 meters of pristine beach overlooking azure waters, combined with the same superb brand of service the Discovery hotels and resorts are known for, Club Paradise Palawan offers exciting activities for all types of guests -- from the adventure seeker to the romantic, from a “barkada” or family to individuals who simply want to indulge in a relaxing, quiet getaway. Fancy a boodle fight lunch at Hidden Beach or a romantic dinner at the beachfront? Your wish is their command! For your accommodations, you can choose from the many spacious and comfortable suites and villas: The Garden View provides a refreshing view of the rich island flora, this room also connects to a Sunrise Villa. The Garden Suite has its own private balcony. The Sunrise Villa and Sunset Villa have their own balcony as well plus a hammock where you can chillax to your heart’s content. Satisfy your food cravings or simply chill with your favorite drink at the Firefish Restaurant and Lounge that offers a menu of local and international ala carte meals, with some ingredients sourced sustainably from their Taranuman farm. The Dugong bar, with its wide selection of wines, cocktails, and spirits, is perfect for enjoying the island’s wondrous sunset. At Happy Hour, get to see amazing colony of fruit bats fly out at sunset, which is truly a sight to behold! Soothe those tense muscles with a massage from Glow Spa, which uses only all natural and organic massage oils; relax at the Entertainment Room or reinvigorate your spirit at the Yoga area. The Kids Tree House will keep children entertained for hours, at 4PM daily, there’s a special program called “Discovery Scouts” where they can learn about the ocean, trees and other eco-friendly practices. Club Paradise Palawan also offers guests an array of activities such as snorkeling at the house reef where you can meet schools of Jacks, Mantas, Green Sea Turtles and more. The adventurous types can go kayaking, paraw sailing, hiking to Eagle’s point (the highest part of the island), island hopping, rope relay and intro or professional scuba diving. Only an hour away from Busuanga Airport, Club Paradise is nestled in a UNESCO biosphere reserve which includes a turtle nesting site and protected marine sanctuary. As part of its EcoConserve advocacy to preserve and protect its environment, sustainable practices and initiatives are being implemented. These include proper garbage management, coastal clean-ups and tree care. 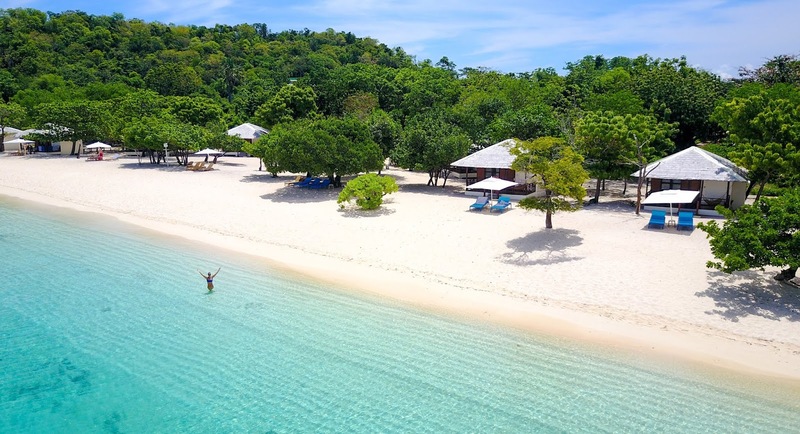 Pristine surroundings, comfortable accommodations, excellent service and the commitment to sustainable and eco-friendly practices definitely make Club Paradise Palawan a nature’s gem worth discovering. For more details, visit https://www.clubparadisepalawan.com. One Night Only: A Spectacular Countdown to 2019! Tiger Sugar Philippines opens today!! !